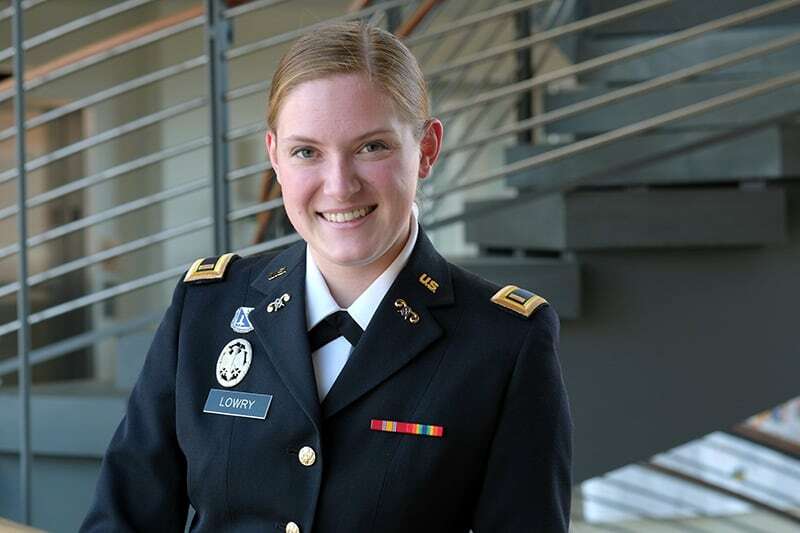 Six months after graduating from W&L, 2nd Lt. Christina Lowry ’14 is looking for an apartment near Fort Drum, about an hour north of Syracuse, New York, and just a few miles from the Canadian border. “I’m willing to pay a couple of hundred more per month for a garage just to make sure the car will start in the morning,” she said. The week she began her search there was seven feet of snow on the ground, so a garage seemed particularly appealing. At W&L, she joined Pi Beta Phi; won a 2013 American Translators Association Award for her translation of the German musical “Elisabeth”; wrote an article for W&L’s Political Review on the political tension surrounding Muslim immigrants in Germany; wrote a paper for her capstone course on chaplains in the military; and worked in Lee Chapel. At VMI, she fired M-16 rifles; flew in a UH-60 Black Hawk; navigated obstacle courses; took classes on leadership; traveled to Tanzania and Germany on ROTC summer programs; and served on the Dining In committee.